Six female lawmakers of 2008 National Assembly have muscled their way back to the Lower House of the parliament in general elections of 2013, while four women who won in 2008 have once again made their way back to provincial assemblies. Interestingly, the analysis reflects that all the women candidates who changed their loyalties this time around were able to bag more votes than past elections or converted previous losses to wins this time. Two women each from Punjab, Sumaira Malik and Ghulam Bibi Bharwana, have again won National Assembly constituencies. From Sindh, Dr Azra Afzal Pechuho and Dr Fehmida Mirza have retained their seats. Sumaira Malik, Dr Azra Fazal and Dr Fehmida Mirza struck hat-tricks of wining their seats in National Assembly as they had won in 2002, then won in 2008 and again retained their seats in 2013 polls. Dr Azra and Fehmida remained loyal to their parent party, Pakistan People’s Party (PPP), while Sumaira switched sides as she had won twice on Pakistan Muslim League-Quaid (PML-Q) tickets while now she won from the Pakistan Muslim League-Nawaz (PML-N) platform. Two women of 2008 Punjab Assembly, Nazia Raheel and Naghma Mushtaq Lang, have been re-elected to Punjab Assembly. According to the data available, 150 women had filed nomination papers at national level from 111 constituencies of which 60 were on party tickets. Sumaira Malik has won from NA-69 Khushab on PML-N ticket securing 118,108 votes. In 2008, Sumaira Malik had won on PML-Q ticket securing 61,076 votes. Ghulam Bibi Bharwana has again won from NA-88 Jhang on the PML-N ticket bagging 87,002 votes. She had been elected on a PML-Q ticket in 2008 securing 63,515 votes from NA-87 Jhang. Saira Afzal Tarar has won from NA-102 Hafizabad on PML-N ticket, getting 93,013 votes. She had got 56,313 votes from the same constituency in 2008. Faryal Talpur has won on a PPPP ticket from NA-207 Larkana bagging 83,916 votes. She was elected unopposed in 2008. Her other sister, Dr Azra Afzal Pechuho has been re-elected from NA-213 Nawabshah on PPP ticket winning 111,667 votes. She had bagged 108,096 votes in year 2008. Former National Assembly speaker Dr Fahmida Mirza has been reelected from NA-225 Badin on PPP ticket by clinching 110,684 votes. She had won in 2008 by securing 88,983 votes. 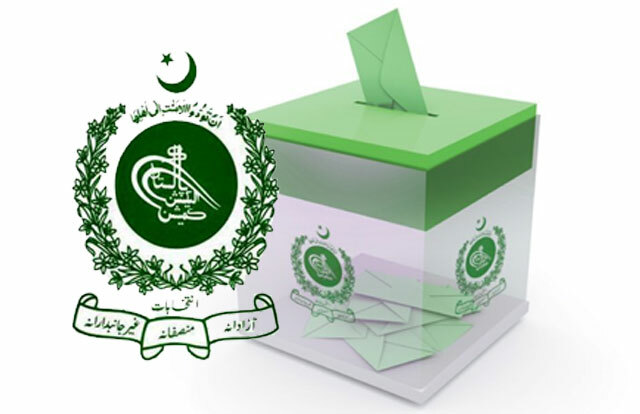 At provincial level, 313 women filed nomination papers from 213 constituencies of which 115 were party ticket holders. In the 2008, 16 women had won National Assembly elections while 10 women won seats provincial assemblies on general seats. In 2013 elections, 10 women made their way to the four provincial assemblies including eight in Punjab, one each in Sindh and Balochistan assemblies whereas no women could win a general seat in Khyber Pakhtunkhwa. Dr Nadia Aziz won from PP-34 Sargodha on PML-N ticket securing 33,744 votes. In year 2008, she had won from a PPP ticket. Iffat Miraj Awan won PP-53 Faisalabad on PML-N ticket by securing 44,018 votes. Rashida Yaqoob Shaikh has won from PML-N from PP-78 Jhang clinching 42,194 votes. Nazia Raheel won from PML-N from PP-88 Toba Tek Singh, winning 36,622 votes. From PP-101 Gujranwala, Riaz Amanat Ali Virk won on a PML-N ticket, winning 24,413 votes. From PP-116 Mandi-Bahuddin, Hameeda Waheeduddin has won on PML-N ticket, winning 52,712 votes. Last time, she had won on a PML-Q ticket winning 19,638 votes in year 2008. From PP-206 Multan, Naghma Mushtaq Lang has won from a PML-N platform, securing 43,050 votes. She had won from PML-Q last time bagging 28,109 votes. Among the winners of provincial assemblies, Saniya of PS- 109 Karachi-XXI, won by a margin of 44,054 votes besides bagging highest number of votes 53,926 casted with estimated voter turnout of 49.17% for her constituency. Rahat Jamali won the PB-26 Jaffarabad-II constituency securing 12,521 votes, which is the lowest number of votes taken among the winners. She won by a margin of 5,758 in a constituency where voter turnout was 40.25 percent.